The shallow dinner bowl is approximately 8” wide and a little under 2” deep. (Sizes can vary within 1/2” inch.) 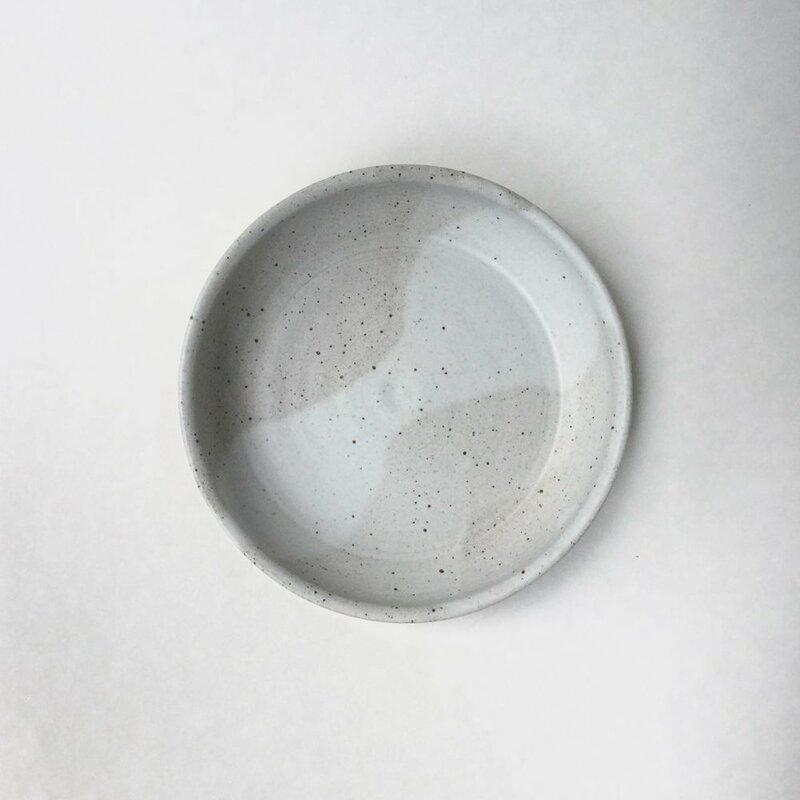 Glazed in matte speckled grey with a swath of foggy white. Dishwasher and microwave safe. Hand thrown in California. Each bowl is handmade and unique and will look slightly different from the one shown in the photo. 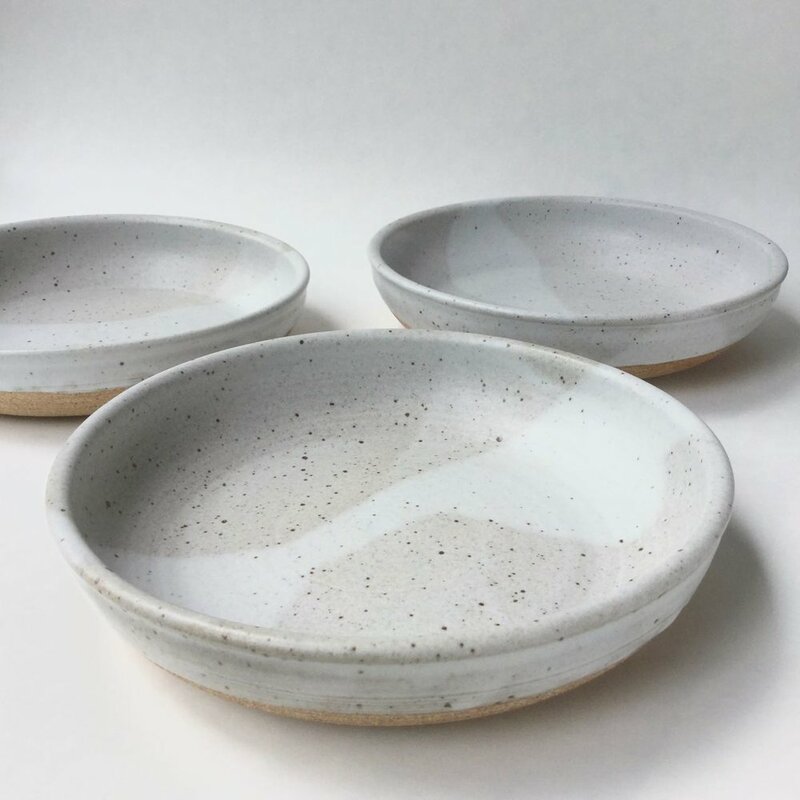 You can buy a single bowl, a pair or a set.